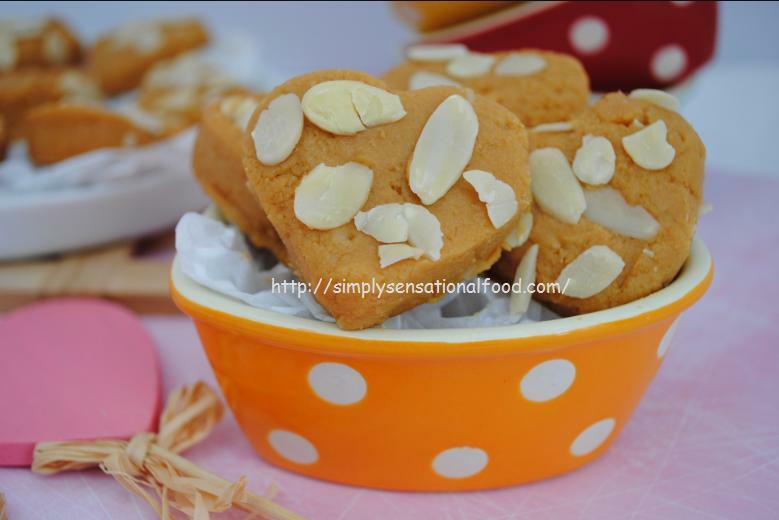 Delectable pieces of melt in the mouth soft brown fudge topped with flaked almonds. 1. In a large microwaveable dish add the caramel condensed milk and the milk powder. 2. 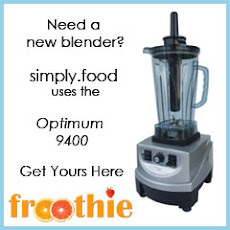 Mix the ingredients and microwave on high for 6 minutes, stirring the mixture every 2 minutes. 3. Remove from microwave and leave to cool slightly. The fudge will start to harden slightly. 4. Once it is cool enough to handle, grease a shallow dish and transfer the fudge to it, smooth it out using the back of a spoon. Sprinkle the fudge with the almond flakes and leave to cool. 5.Once it is cool and fudge has set cut into desired shapes . 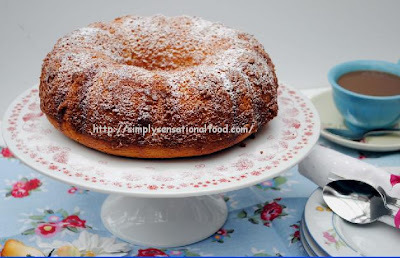 Moist and bursting with citrussy tang and sweetness from the honey this cake is fit for the gods. 3.In a large bowl add the eggs,oil and sugar and whisk, add the yoghurt, lemon rind and whisk again. 4. Sieve the flour in another bowl and add it to the wet mixture. Fold the flour gently to the wet mixture. 5.Pour the mixture into the prepared greased cake tin and smooth it on the top. 6. Tap the tin slightly and then place it in the preheated oven to bake for 40-45 minutes, or check with a skewer, a clean skewer means cake is baked. 7.Remove cake from oven and leave to cool in tin.Once cooled invert the cake tin onto serving plate. 8. Place the lemon juice, honey and icing sugar in a saucepan, heat gently until sugar melts. 9. Poke holes in the cake with the skewer and pour over it the warm lemon syrup. 10. Before cutting the cake dust it with some icing sugar. Serve the cake with some a spoonful of Greek Gods vanilla and honey yoghurt and strawberries. 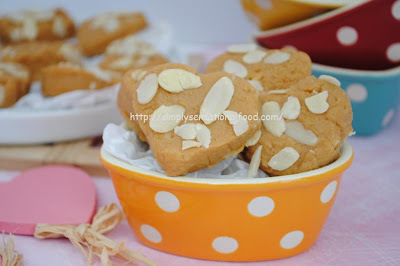 I was recently sent a tub of Greek Gods Honey and Vanilla yoghurt with a request to create a recipe with it that would be fit for Aphrodite the Greek goddess of love, beauty and desire.The competition was hosted together with Foodies100. I think this cake would rise to the challenge very well. It would be perfect to present to Aphrodite. 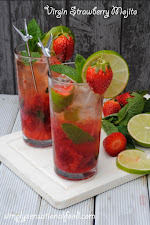 A few months ago I attended a mocktail making class and since then I have become a fan of mocktails Any occasion, get together or party and out comes my cocktail shaker, muddlers, stirrers and ice bucket.I love experimenting with different syrups, juices,flavors and combining spices to create delicious mocktails. You can check out some of my creations here. 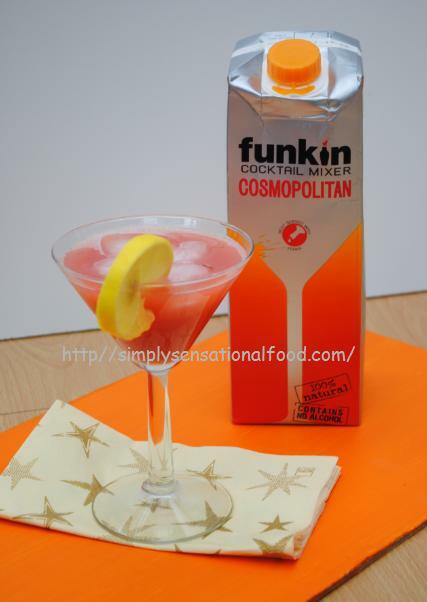 Recently I discovered Funkin they make 100% natural fresh cocktail mixers.The mixers have no artificial colours, flavours, preservatives or additives. Some of the products they supply are cocktail mixers in litre packs and in smaller pouches too.They also make different flavour syrups and fruit purees, in fact Funkin can provide you with a party pack so that you have everything to make the perfect mocktails and cocktails without the stress and hassle.All their products are available from major supermarkets or on line.Their website also has some cool mocktail/cocktail idea and a section dedicated to tips to make the perfect mocktail/cocktail to get your part started. Thankyou to Funkin for sending me the sample of Cosmopolitan mixer.The views and opinions expressed are purely my own thoughts on the products. Refreshing mocktail that will tease your palate. 1. In a jug add the ice, 100 ml of Funkin Cosmopolitan mixer and 100 ml ginger beer. 2. Stir and serve immediately poured into martini glasses garnished with a slice of lemon. The coconut water is gluten free and vegan and it is kosher too and totally suitable for vegetarians. It is also free from preservatives and colourings. Vita Cocopackaged in a tetra pack and comes in 330 ml and 500 ml and 1 litre sizes.Strangely the 330ml size which was a lunchbox size and ideal for travel did not not come with straw so drinking out of the carton was a little difficult especially if it was given to a child.Vita Coco is available to purchase on line, alternatively it is readily available in most supermarkets. It retails between £1.49-£3.49 depending on size. Thankyou too Vita Coco for sending me the samples.The views and opinions expressed are purely my own thoughts on the products. I was recently invited to a pr event hosted by Ben and Jerry Ice cream. The event was to launch their two new American Inspired Flavours Peanut butter me up and Blondie Brownie. On arrival we were served drinks and we were invited to enjoy a delicious buffet of peanut butter and jelly sandwiches, chocolate brownies, crisps and lots of delicious fruit. Whilst indulging in the treats we were pampered and spoilt as Ben and Jerry had laid on nail artists who painted our nails and we had relaxing neck and hand massages. Of course the highlight of the evening was to meet Woody the cow and sample their two new flavours of ice cream Peanut butter me up and Blondie Brownie in their new core range.The peanut butter me up has a raspberry jam core surrounded by peanut butter ice cream & vanilla ice cream with chocolatey peanut butter cups.The Blondie Brownie has a soft salted caramel core which is surrounded by chocolate & vanilla Ice Creams with chocolate brownie chunks & blondie brownie chunks. The evening was truly enjoyable, after indulging in 4 tubs of ice cream I could eat no more, I came to the conclusion that although both flavours were delicious, my vote went for the Blondie Brownie which was very delectable.On the other hand my daughter who attended the event definitely voted for the Peanut butter me up as her favorite. We had a wonderful time sampling the awesome ice cream and being pampered. But it did not stop there, Ben and Jerry also gave us goody bags filled with your own personal ice cream tub lock so that no one can steal our ice cream, a plastic shovel to dig deep into the ice cream tubs, a t shirt, a mobile phone case, some cute post its and a seat saver together with vouchers so that we could enjoy more ice cream at home. We would like to thank Ben and Jerrys for inviting us to this delicious event, all the views in this post are our own. Ben and Jerry have been very generous and they have kindly offered to provide 3 prizes of two vouchers redeemable for two 500 ml tubs of Ben and Jerry Ice cream so that simply.food readers can also experience these two new wonderful flavours. Giveaway open to UK residents only over 18 years old. My assigned blog was Lavender and Lime,this blog is run by Tandy Sinclair.The site has many delicious recipes.I enjoyed looking through the collection for my search for a vegetarian recipe, Finally my sweet tooth caved in and I chose her Orange and cinnamon Posset. I was intrigued by how the cream was going to set without gelatin. I halved the measurements to make 8 miniature portions and also replaced the Orange with a ripe mango. Delicious and creamy Mango Possets, a delectable and drool worthy dessert. 1. In a pan add the sugar and 200 ml mango puree and bring to boil until sugar melts. 2. Turn the heat low and add the cream, whisk for 4-5 minutes until mixture starts to thicken slightly.Strain this mixture through a sieve. 4. Get 8 shot glasses and place 1 tablespoon of mango puree into each.Place the shot glasses into the freezer for 10 minutes. 5.Remove the shot glasses from the freezer and gently pour the mango cream on top of the mango puree. Serve Possets with a lemon short bread. 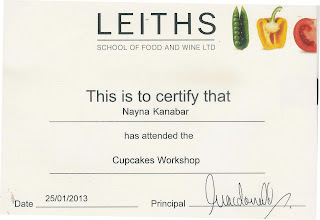 I was recently invited to attend a cup cake class at Leiths school of food and wine. Leiths School of Food and Wine in London has an international reputation as a first class culinary institute for chefs. 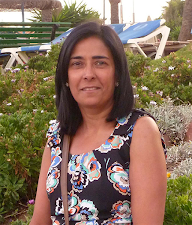 Students come from all over the world to enjoy dedicated teaching in a friendly atmosphere. 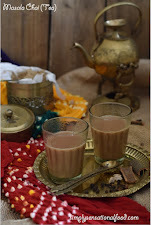 The school is not restricted to classes for career cooks , there are many part time, evening and weekend classes for amateur cooking enthusiasts r The classes vary from food styling, to cup cake making, knife skills and regional and international cooking . These are just a few of the classes on offer for more details you can visit their web site. The cupcake class I attended had about 16 other students, we were escorted to a clean and beautifully laid out kitchen. To get our energies charged up we were served coffee and delicious croissants, pastries and chocolate "disco" cupcakes, the tutor did admit being a little over generous with the edible glitter.!! Once fed and watered we enjoyed a cupcake demonstration of Lemon curd cupcakes by our tutors Ansobe Smal and Andrea Hamilton.We learnt how to make the lemon curd and butter cream icing to go with the lemon cup cakes. Now it was our turn to start baking and creating. We split into 4 groups and each group set about making a batch of cupcakes . We were taught four different flavours and types of cupcakes each adopted a different technique.The cupcakes were Lemon curd cupcakes,German chocolate , Spiced courgette cupcakes with lemon icing and Banana cupcakes with caramel filling and peanut butter icing.Both the tutors were constantly at hand guiding us and answering any queries we had. Once the cupcakes were in the oven baking we were treated like royalty as lunch was served, delicious homemade leak and potato soup, Crusty bread, a refreshing salad and plenty of fruit and cheese all washed down a glass of wine. After lunch we had another demonstration of preparing the different types icings for our cup cakes.After the demo we made our icing and decorated our cupcakes using the different types of nozzles creating an array of swirls and patterns. We then added the finishing touches to our cupcakes with edible sprinkles and glitters. The cupcake workshop was lots of fun and very informative.Unlike most cupcake classes this one actually showed you how to make and bake the cup cakes them selves and not just concentrate on the icing and decoration.Finally cup cakes made and boxed up ready for taking home together with a recipe booklet ,we were each given a certificate of attendance. 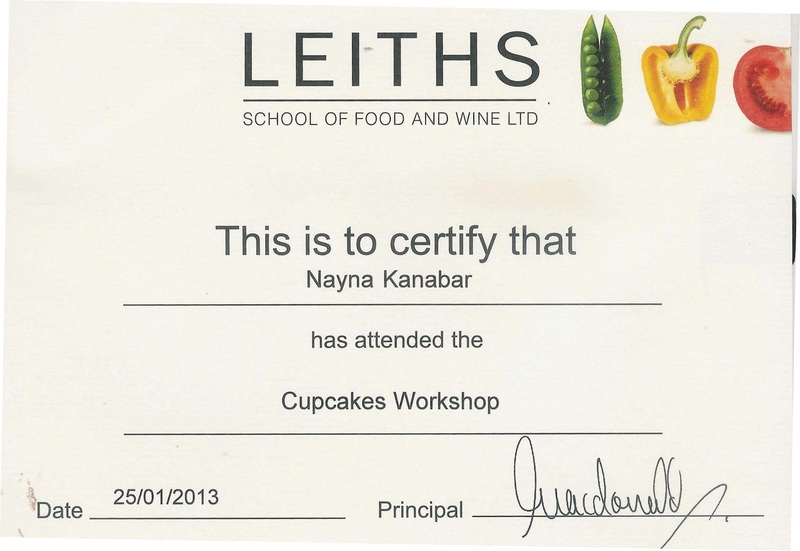 I had the most enjoyable time at the workshop and would definitely recommend it to anyone who wishes to learn the art of baking cupcakes rather then just decorating them.I would like to thank Leiths school of food and wine for inviting me to attend the class and helping me broaden my knowledge about cup cake making and baking in general. I recently received a book called Grow Organic, Eat Organic.The book is aimed at children from age 6+ . 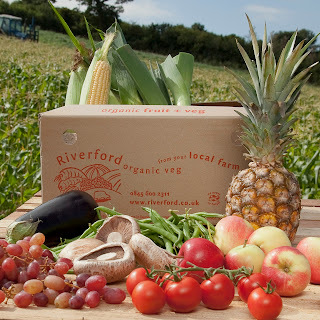 The book is perfect as a gift for young children and parents who enjoy cooking and gardening. 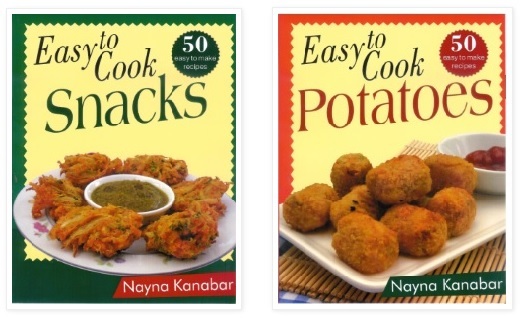 It is illustrated with colourful pictures, easy to understand instructions and steps which provide growing suggestions to keep children interested from seed to plate. Gardening is one of the greatest ways to stimulate a child’s imagination and to ignite their first interest in the environment, while teaching important lessons in helping and sharing. 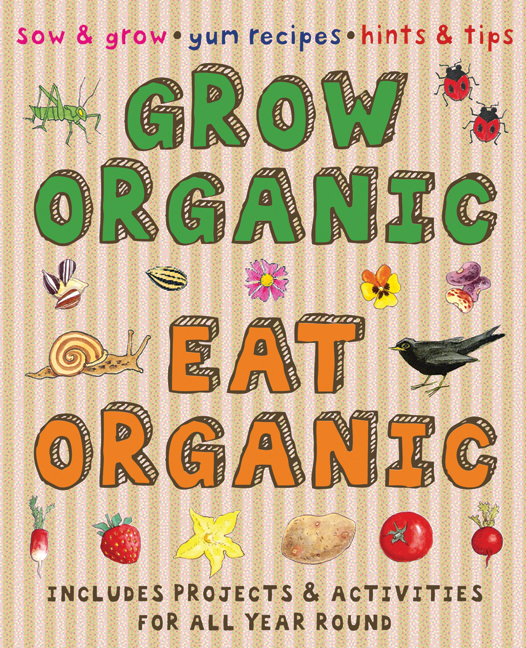 This book is perfect for encouraging parent and child interaction where both can spend time together working in the garden and learning about nature and later cooking with the vegetables that they have grown. The book also has a basic recipe section that the parent can use to cook with their child.The book has projects to cover the whole year so that parents and children can grow organic and eat organic the whole year around.I would definitely buy this book for my young nieces. It retails at £ 5.99, a small price to pay for all year round fun.It would make a perfect present for a child if put together with a mini gardening kit of some packets of seeds and flowers and children's gardening tools. Thankyou to b small Publishing for sending me this book to review.All the views in this post are my own. 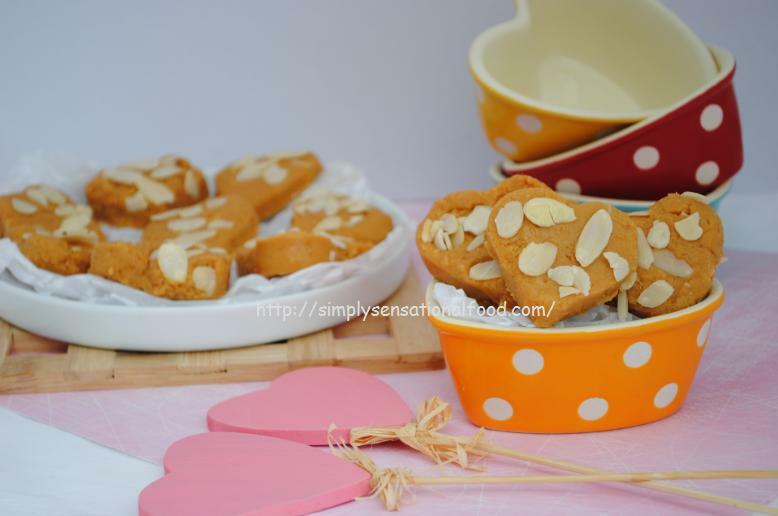 Delicious heart shaped chocolate chip cookies that melt in the mouth.Perfect valentine gift. 1.Place the butter and sugar in a bowl and cream together, add the apple sauce and vanilla and mix well. 2.Sieve the cocoa, salt and flour and add it to the butter. 3. Add the nuts and chocolate chip and combine to make a dough. 5.Remove dough from fridge and divide into two parts roll each part out on grease proof paper to approx 5 mm thick and cut out heart shape cookies from it. 6. Place the cookies on a oiled baking tray leaving space between the cookies. Repeat for rest of dough. 7. Place the trays of cookies in the fridge for 10 minutes to chill. 9. Bake the cookies in the oven for 10-15 minutes or until firm. 10 Transfer cookies to wire rack to cool. 11.If you want to thread ribbon in the hearts ,using a skewer pierce a hole in the top of the heart whilst cookie is hot. 12. Once cooled thread a ribbon through the hole. Serve heart chocolate chip valentine cookies with a piping hot cup of coffee. 1. In a pan heat the olive oil and add the onions and garlic. Sauté till translucent. 2. Add the passata and cook sauce for 2-3 minutes. 3. Add the peppers, sweet corn, courgettes to the tomato sauce and cook till vegetables are tender. 4. 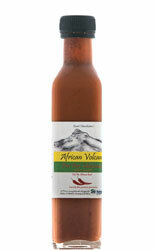 Add the salt and pepper, Italian spice, chillies and sugar and simmer sauce on low heat till sauce thickens. Remove from heat and keep aside. 5. Heat water in a large saucepan when it comes to boil, add 1 teaspoon salt and the penne pasta. 6. Reduce heat to simmer and cook pasta until al dente. 7. Drain the pasta and return it to saucepan, add 1 teaspoon olive oil and stir it into the pasta.Add the tomato sauce and mix well. 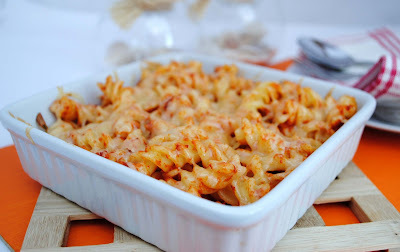 8.Transfer the pasta to an oven proof dish and top with the grated cheese. Place the dish under a preheated grill for 3-4 minutes until cheese melts and starts to brown. 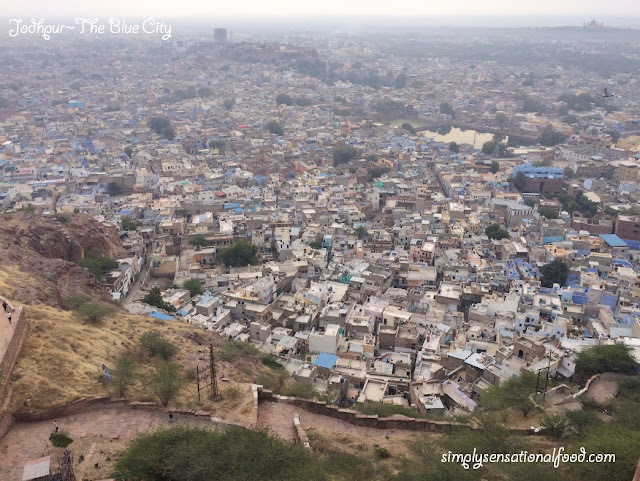 Flavours of Italy , event by simply.food guest hosted by Divya's Culinary journey. 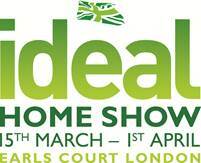 From 15th March - 1st April 2013, the iconic British Home Show will return to Earls Court, London for its 105th Year and we have 10 pairs of tickets for our lucky readers to win! 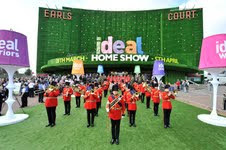 With seven dedicated show areas catering to every need and taste, and boasting over 600 exhibitors, the Ideal Home Show is the only place to visit when making your home ideal. From ideal Interiors, to ideal Home Improvements, with ideal Gardens, and ideal Technology, plus ideal Food & Housewares, ideal Shopping and ideal Woman, the enhanced sections give you more choice and bigger brands, all under one roof. It’s a great day out for the whole family – shop, see new product launches, explore full scale show homes and gardens, visit the revolutionary Technology Hub, powered by Virgin Media, and enjoy a glass of bubbles in the Ideal Gardens champagne bar, sponsored by Hydro pool. You can even celeb spot and even enjoy a spot of lunch in the Celebrity Chef restaurant. 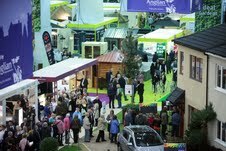 Not forgetting the fantastic Celebrity Ambassadors and Experts that will be on hand at the show, both on the Super Theatre stage, and B&Q’s own ‘How To’ theatre, to share their knowledge and skills through 1000's of demonstrations and workshops. Don’t forget to stop by the Drinks Theatre, sponsored by Regina, for tips and tipples too! Plus this year you can see a very special interiors makeover on a famous TV home! WIN one of 10 pairs of tickets. Sweetness of the beetroot and the tang from the lemon makes this relish delicious and tasty. 1 green chilli finely diced. 1. Remove the core from the cabbage and shred it finely. 2. Peel and grate the beetroot. 3.Add oil in a pan when it heats up, add the cumin seeds and dried red chilli, once the cumin starts to crackle add the grated beetroot and cabbage. 4. Stir fry till both vegetables start to wilt but still retain their crunch, add the sugar, chillies, lemon juice and salt and stir fry for 2 more minutes. 5. Transfer to a serving dish. Serve as a side dish to a main meal, alternatively use it as a sandwich filling. The beet root used in this recipe was one of the ingredients that was in my Organic Fruit and Veg box sent to me by Riverford Organic farms.